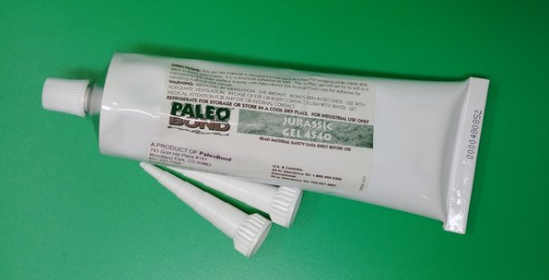 PB4540 Jurassic Gel is a super GAP FILLER and very high strength clear adhesive, 12,000 cPs. 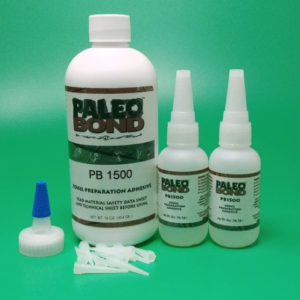 When you have a large gap in your fossil or mineral, PB4540 can be used to fill in those areas. 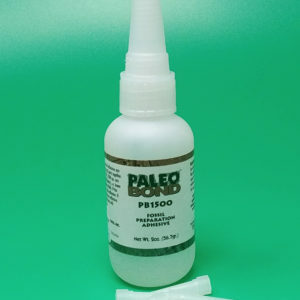 PB4540 Jurassic Gel is a super GAP FILLER and very high strength clear adhesive. 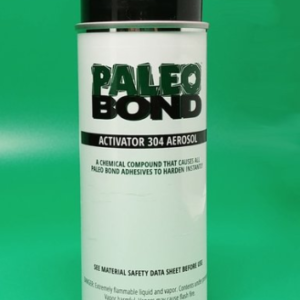 When you have a large gap in your fossil or mineral, PB4540 can be used to fill in those areas. First use PB002 to strengthen the two pieces you are putting back together. You will generally have better success if you do this first as the PB4540 is thick and will not penetrate into the substrate. 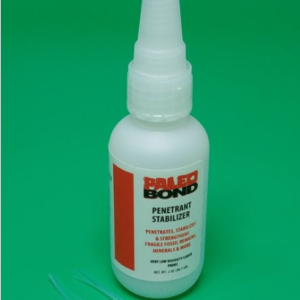 By using the PB002 you are providing a strong bonding surface for the PB4540 to grab onto. Next, position parts as you plan to join them. Place the PB4540 on one side or the other of the specimen. Join the broken parts together. 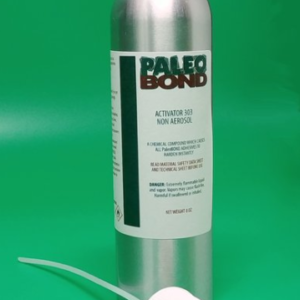 Wipe off any excess that may squeeze out between the bonding joint. Once filled, you may then use some “dust” of the original material to fill in the space, using a toothpick to mix it in the repaired area, making your repair almost invisible with practice. 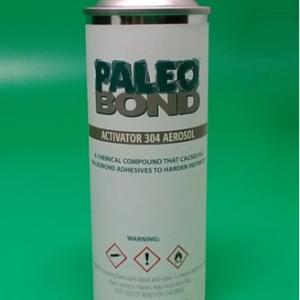 When you are satisfied, SPRAY LIGHTLY with activator PB304 or PB303. You will be able to carefully handle the fossil after the initial set with the activator. Full cure will take place in 24 hours. PB4540 can also be used when embedding live coral in submerged environments (without using the activator). A hole is drilled in the live rock that the coral is to be embedded into. PB4540 does the job to secure the live coral to the rock substrate, holding it safely in place. 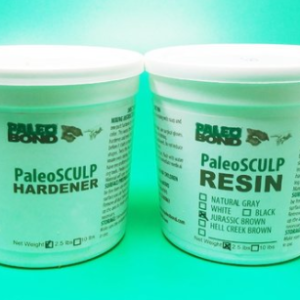 It’s also great for fracking rocks for your aquarium design. 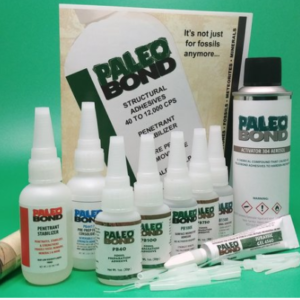 Kit includes: 20 gram tube of PB4540 Jurassic Gel.